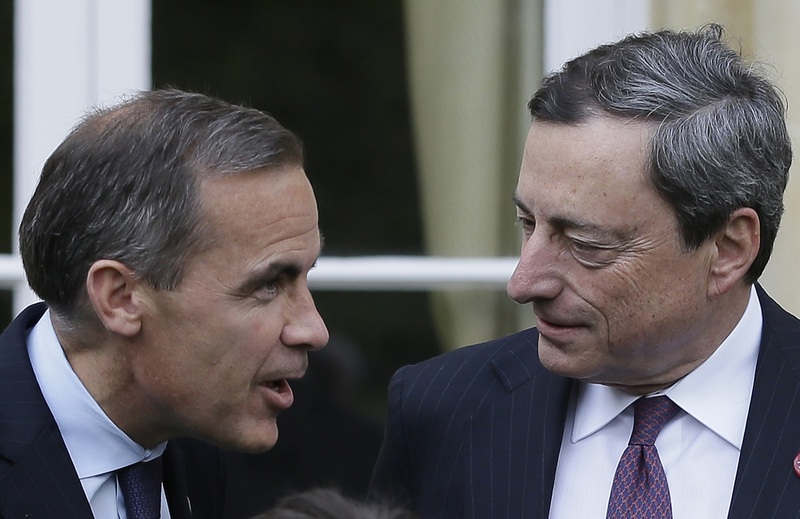 ECB chief Mario Draghi has too little inflation while the Bank of England’s Mark Carney has too much. Currency moves are compounding the problem for both central bankers. Their best hope of fighting unwanted shifts is to convince traders that policy will adapt to such swings. The European Central Bank holds a policy meeting on Sept. 7, while the Bank of England’s Monetary Policy Committee next meets on Sept. 14. A trade-weighted index of sterling’s value has fallen almost 6 percent in the past four months, sliding more than 2 percent since Aug. 3 when UK rate-setters last held a policy meeting. The index was at 75.3 on Sept. 6. A trade-weighted index of the euro’s value has risen by nearly 6 percent since mid-April to 98.96. It rose as high as 100.04 on Aug. 29.